Eliminate waste with flexible & agile powder handling using IBCs. With a Lean manufacturing system you can reduce your overall manufacturing costs, get it right first time every time and increase the return on your investment. 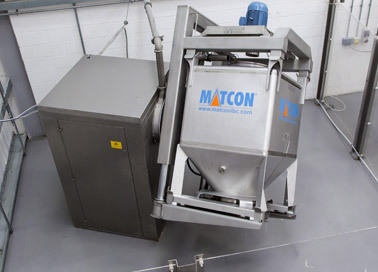 Using the Matcon IBC method of manufacturing, shorter runs can be produced as changeovers are quicker and simpler. This means you can ‘make to order’ with small inventory levels and minimal WIP. The decoupled nature of the system gives total flexibility and the agility to respond rapidly to changing customer needs. Lean Powder Handling and Processing means eliminating anything that does not create value for the end product. Traditional methods of manufacturing often contain hidden wastes. Overproduction – no need for WIP to maintain flow with an IBC system. Waiting – loading and emptying coupled fixed mixer systems means the whole system has to wait. IBCs enable all process steps to operate simultaneously for high OEE rates. Transporting – ergonomic systems are easier to create which reduce material movements. Unnecessary Inventory – ‘make to order’ not campaign runs which risk stock spoilage. Unnecessary motion – with appropriate design the IBC system can achieve good process flows. Defects - quality issues mean whole campaigns are scrapped. 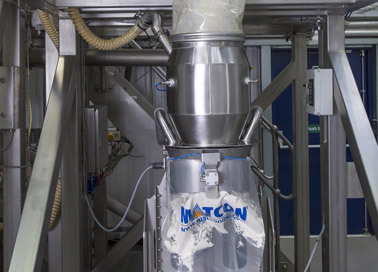 With the Matcon Cone Valve, blend segregation is avoided for a quality product every time. 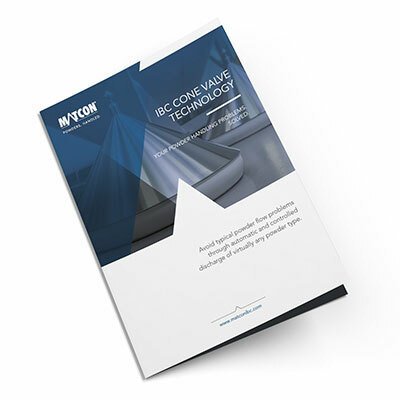 Find out how IBC Cone Valve Technology could be the solution to your powder handling problems by downloading our brochure today. Over the years we have been able to help our customers to adapt and grow with the ever changing needs of their markets. 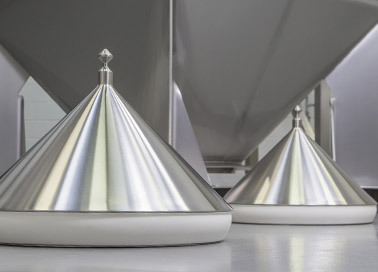 The unique Matcon Cone Valve means that no matter what recipe or ingredient challenges there are, you can be assured it will handle your powders successfully. from one production stream to another at a minutes’ notice.